Mike & Nancy needed to sell their beautiful home in the Verdict Ridge golf community in Denver NC in the Lake Norman NC area. 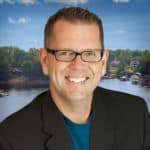 After interviewing several Realtors®, they selected Mike Toste, Lake Norman Mike, to be their listing agent, due to his transparency and experience. Mike Toste has been in the real estate business for over 25 years with over 2,000 transactions closed. At the time of putting their home on the market, they were facing difficult challenges. The number one challenge was major competition from a production builder in their neighborhood. They were rapidly building new homes that were similar in size to their home. This new construction was generating over 50% of all sales within the community. They were much less expensive than many of the pre-owned custom homes. Mike & Nancy’s home was custom built, had numerous upgrades and was on the golf course. For these reasons our pricing was much higher, even though most of the demand was in the lower price ranges. They were brand new, which buyers are naturally drawn to. Mike Toste and the Lake Norman Mike team got to work immediately to sell their home in the tough selling environment. 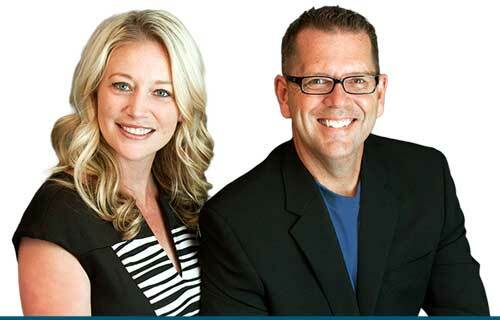 If you know the Lake Norman Mike team at all, you know that they take real estate marketing very seriously. The comprehensive marketing plan was put into action immediately. A stager was scheduled to make sure the home was staged and ready to look its best for photography and video. Next, our professional photographer and filmmaker was brought in to capture the elegance of the home with its large square footage, luxury features, and beautiful views. Dynamic aerial drone footage was included in the video tour to give the potential homebuyer a view from above. From there, the digital marketing campaign went into action, first making sure the best images were used for the MLS listing, where area real estate agents find properties to show home shoppers. Second and more importantly, the listing was featured on all major search websites and apps that buyer’s use (Think Zillow, Realtor.com, . Special care was taken to ensure that each search hub had accurate information and high resolution colorful images. A custom web domain was put into play making it easier for local traffic to view the home quickly from their cell phone. Advertising came next, beginning with the most used websites, Facebook and Google. Tapping into this massive audience brought more and more eyes onto the cinematic video as well as the photos, bringing more and more attention to the listing. Google paid search ads drew in home buyers looking for area homes in order to highlight Mike & Nancy’s first. A professionally designed Facebook advertising campaign highlighting the captivating photos and video was set in motion. 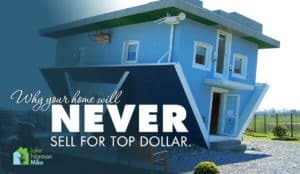 As Nancy explains in the video, because of the aggressive marketing, the targeting of in and out of state buyers, and making sure the price of the home was properly positioned, the home was able to sell in much less time when compared to other custom homes in the Verdict Ridge neighborhood. It an absolute MUST to execute the BEST marketing strategies possible when selling in a price point that has more sellers than buyers. Need help now? Give us a call or text today at 704.584.9781 so we can discuss your specific situation.